Focke Meler keeps adding new products to its coating roller range. It is a roller with a coating width of 1200 mm, which includes improvements from previous models, such as a touch screen, smaller tank size and great ergonomic benefits. The intuitive touchscreen allows the user to program the operation and control of the machine and provides two operating modes: continuous mode and return mode; the latter is used to apply adhesives on thinner materials. The adhesive tank still has a dry air injection valve to prevent reticulation of the adhesive, and has been reduced in size in order to keep its properties intact and to make it easier to clean. The system also has a plate that is sealed hermetically with the roller coater to collect remains of adhesive. Like the tank, this plate has a dry air injection system to prevent the need for daily cleaning of the tank. The company strives continuously for perfect ergonomics in its products, and this particular one provides easy access to all the areas of the machine and a structure and table position design that allow for easy maintenance of the unit. 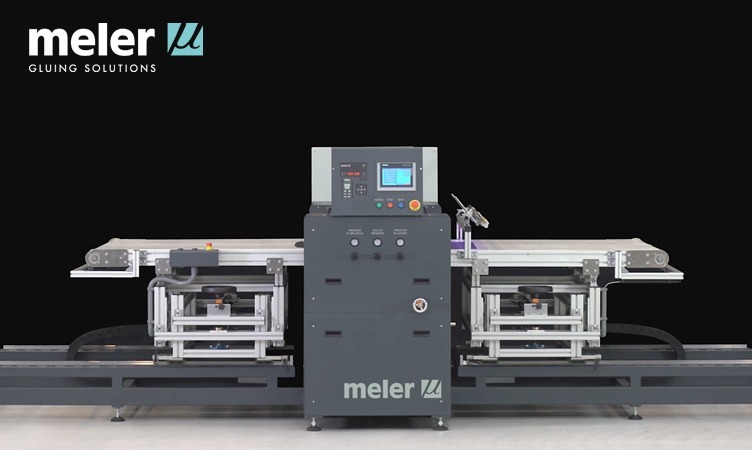 Focke Meler has a wide variety of rollers and offers the customer the possibility of configuring the coating width adapted to their needs. As a result the roller adjusts perfectly to each application, helping to optimise production and guarantee its quality. The accuracy and quality provided by Meler’s coating rollers have allowed the company to enter one of the markets with highest potential in recent years, the automobile market.